“He is comic, creative and charismatic, and he likes people to treat him like the typical guy next door," said a 1998 Ridgefield Press interview with Andrew Gold. Mr. Gold was the voice and music behind many popular tunes including some of Linda Ronstadt’s hottest hits such as You’re No Good and Heatwave. Besides songwriting and singing, he was a producer, engineer and musician, and played an amazing variety of instruments, including, guitar, bass, keyboards, accordion, synthesizer, harmonica, saxophone, flute, drums, ukulele, musette, and harmonium. 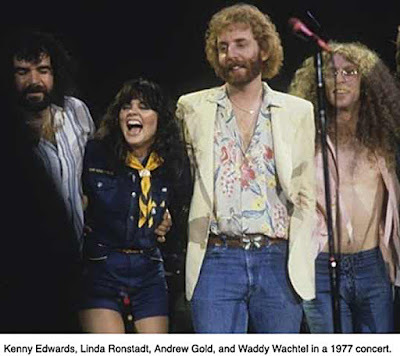 Andrew Gold was born in 1951 in Burbank, Calif. That he started writing songs when he was 13 was no surprise; his father, Ernest Gold, was the Academy Award-winning composer of the many film scores including, Exodus and On the Beach, and his mother, Marni Nixon, was in films the singing voice of Natalie Wood in West Side Story, Audrey Hepburn in My Fair Lady and Deborah Kerr in The King and I.
throughout the 1970s. He also recorded with such artists as Carly Simon, Neil Diamond, Paul McCartney, Ringo Starr, Brian Wilson, James Taylor, Roy Orbison, Bette Midler, Diana Ross, and Cher. 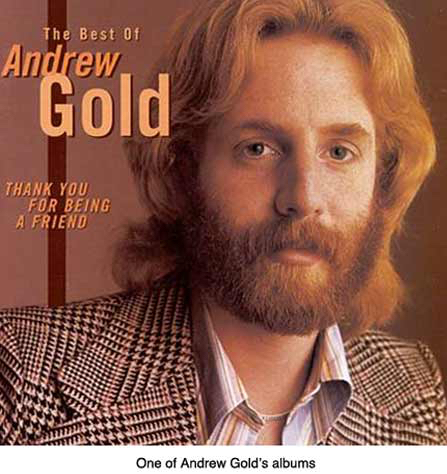 Over the years Mr. Gold had also produced and wrote songs and music for many television and movie soundtracks, such as the theme to Mad About You on TV. His biggest hit was “Lonely Boy,” a top-10 single in 1977. Perhaps his most unusual accomplishment was serving as the voice of Alvin, the singing chipmunk on television! Many albums of his songs have been released, and he produced many albums of other artists. He had two hits of his own as high as number five on the charts. Mr. Gold maintained a studio on Bailey Avenue for a couple of years, but moved it to Nashville in 1999, and commuted between there, London and his home on St. Johns Road, where he lived with his wife and three daughters. In the early 2000s, he moved to California where he died in 2011 at the age of 59. He had been under treatment for cancer, but the cause of death was given as heart failure.